Ideal for hallways, kitchens and nurseries, this full LED night light features five adjustable light levels, a hidden sensor that automatically controls the night light and an impact-resistant Lexan lens, face and body. An optional louver is included for added light-level control. For detailed Night Light information, visit our Night Lights page. Rated 5 out of 5 by Magicman from Options I'm a 20 year electrican and although there may be an education period with customer I love that there are features, new install and retro fit. I personally installed and plan on buying more. Follow-up... Lots of black wires in the box...this was not a 3-way switch. This is a 3-gang box L-R configuration was mantle light (2 black wires 1 ground), ceiling fan light (1 red, 1 black, 1 ground), ceiling fan motor (2 black, 1 ground). I replaced the ceiling fan with a remote model that only needs one switch (Ceiling fan motor switch). now I have a dead switch in the middle that I want to be the nightlight. I have hooked the night light up using the wires from the removed switch, flip the breaker and nothing happens, all other switches in the box are still working properly. 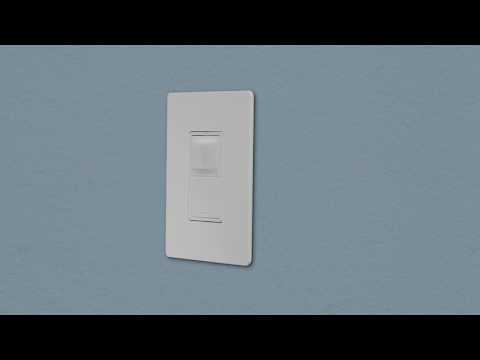 Hello, This is not a switch, it is a night light. 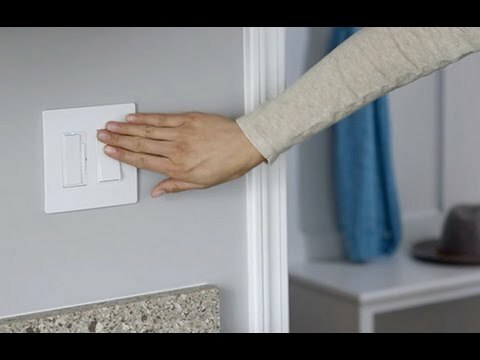 You are unable to turn light fixtures on and off through this device, Hope this helps, Have a great day. Where can I get the Horizontal louver for this nightlight? Can this light be turned on permanently and controlled by a switch? Can the night sensor just be covered to turn it on permanently? Hello, If the Nightlight pulsates Verify that the wiring connections are tight and secure. If this continues to happen Please call technical support at 1800 223 4185 option 1 If the product continues to have issues We can send a replacement for You if needed. Good Morning, Without Louver: X-Low: 1.7 Low: 6.8 Med: 16.1 High: 30.4 With Louver: X-Low: 0.6 Low: 2.3 Med: 4.9 High: 9 Hope this helps! will it handle a 20amp circuit? 120/125 volts are no problem. But is it compatible for 20amp? Thank you for your inquiry regarding our NTLFULL night light receptacle. This device has 20 amp pass through so it can be used on a 20 amp circuit so long as it is not the only device on that circuit. 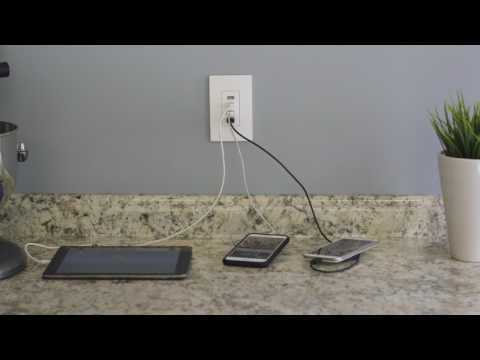 If there are other outlets upstream or downstream, you are good to use this device. Hope this helps!